EA has detailed more about its sophomore UFC outing, including the primary cover star. UFC undefeated Bantamweight champion Ronda Rousey will be on the cover with a second, as yet unnamed star. The title will feature a number of new modes, including the UFC Ultimate Team mode we identified in the reveal trailer earlier this week. This will allow players to put together a team of five fighters. Example cards shown feature signature moves and training elements. KO mode features the standing game without grappling. This turns UFC 2 into a more traditional fighting game. You'll also be able to create your own events, compete in online championships, and participate in live events that connect to real UFC matches. 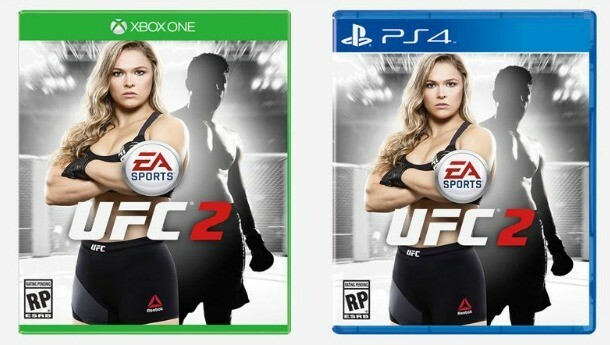 UFC 2 will be out Spring 2016 for Xbox One and PlayStation 4.